Sofia Silk Dress is simple, sophisticated elegance. 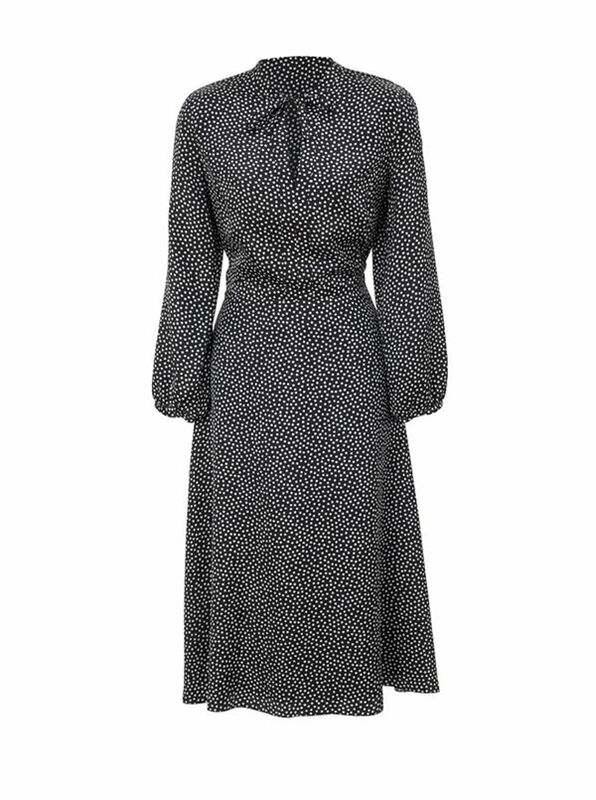 Tailored in Italy of pure silk with long sleeves, keyhole closure with tie, side zip. Mid-calf length.